Arthur Schopenhauer (22 February 1788 – 21 September 1860) was a German philosopher known for his pessimism and philosophical clarity. Schopenhauer's most influential work, The World as Will and Representation, claimed that the world is fundamentally what humans recognize in themselves as their will. His analysis of will led him to the conclusion that emotional, physical, and sexual desires can never be fulfilled. Wait a second. Reread "the conclusion that ... desires can never be fulfilled." 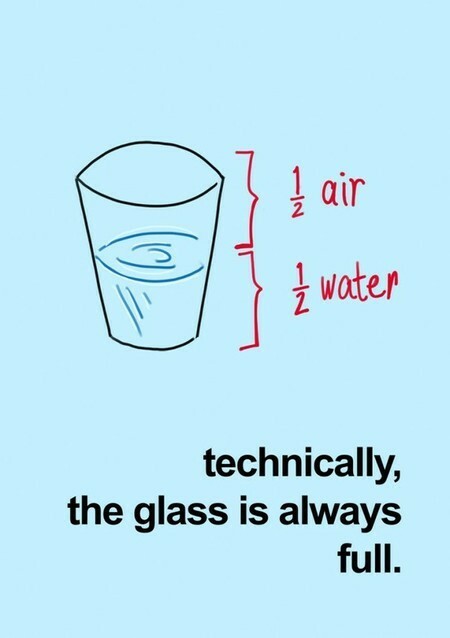 And philosophically they call him pessimistic. Does thinking and philosophy mostly lead to negativity? Epicurean-ism , Hedonism and most modern school of thoughts would comply. However, Platonism, Stoicism and other counter-argue. In real life, around us are people aplenty who are rather 'Über pessimists' . Having pushed the limits of their sadness and got bored by it they have jumped beyond so as to reach the other side. They consider themselves to be very lucky and that they eventually get what they desire. I aim to study a 'middle path' of the two thoughts. There are behavioral test cases for its study but it turns out they are analytically ignorant. Although, I am not saying not being analytical and reasoning prone, makes someone less-a-philosopher. I just demand they be aware post observation. Acknowledging post inference. And open & comprehensive, yet cohesive.